While home curtains are one element where people tend to become traditional, there are several ways to become inventive with your ideas. Apart from a curtain rod, there are many other inexpensive house items that you can use to hang your curtain. As soon as you purchase your curtains, remove them out and relax before thinking of the best ways to install them. Instead of struggling to look for the perfect rod to hang your curtain, you can simply use a tree branch. However, apart from using this in the children’s room, you can also extend this unique idea into other rooms as long as it fits well. Once you have gotten the perfect branch take the adorable fabric and fit it perfectly well onto your window frame. The good thing is that you could vary the appearance depending on the color you choose for the branch. If you wish you can still decide to leave it natural. Metal or brass coat hooks can also be used to hold the curtains. Once you are done, use decorative touches such as flowers on the hooks to make them look lively. This is one of the best ways to install your curtains in a lively way. You can also use nails to install your curtains. If you just want to cover your windows and you don’t plan to change the curtains or move them away then this is the best idea. This idea will appear as if the curtains are just mismatched table clothes. You can also use a single drawer knobs to hang your curtains. Just like the door knobs, install them above the door or the window. You can them use certain fabrics or ropes to tie the curtains on them. This is one of the best ideas for the kitchen. Finally, match the style of your cabinet with the curtain fabric that you want. Think about that wire that you use to hang pictures in your house and the little screws that you use to attach it to the frame. You can use the same to hang your curtains well. Just thread the wire through the screw and then attach each screw at each side of the window. Finally, make the wires tight just the way you would do at the back of picture frame and you will be good to go. Whether the curtains are meant for the window or as a romantic decoration around your bed, you can use a simple affordable cable to hang them without any problem. This means you can actually hang them anywhere. · Choosing the wrong size- Home curtains are usually finished in a variety of ways which are directly related to how they work. Before buying a home curtain, you need to think about how you want them to operate and choose well. · Taking the wrong measurements- It seems obvious to measure your windows before buying curtains but do you take the measurements properly? While you should know the measurements of your windows, the curtains should be hanged much higher hence you need to take this into consideration. If you do not do this well, you might end up with big curtains or leave some part of the windows uncovered. 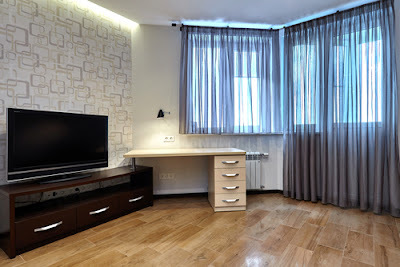 · Purchasing cheap curtain hardware- While buying an expensive curtain can be a hard thing, it’s one of the best things to do if you value your property. For instance, you might end up buying a rod that’s not strong enough to support your curtain or that is not long enough thereby ending up leaving some part of the windows uncovered. Ensure that you measure your window well and purchase a rod that is long enough to allow you to open your curtain long and wide. You should also avoid buying a rod that is too skinny as this might not look well on your window panel. · Using kid-friendly curtains in the kid’s room- Do you think it’s too soon to use colors such as black, gray or opaque in your children’s room? Well, this is not true. Using darker colors will help balance colorful and vibrant children rooms and make them look even much better. The good thing is that they will even help you block too much light from entering the children’s room. This will eventually help your children to sleep soundly. 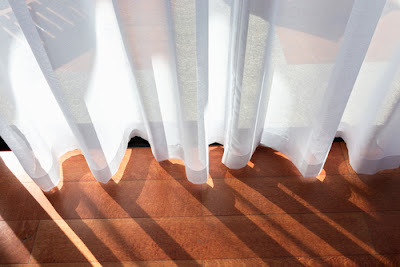 · Skipping the iron- While many people are guilty of this, it’s very important to iron your curtains after washing them. Remember, if you do not do this, they will not iron themselves. Although you might hang them expecting that they will get unwrinkled after a few weeks or days, they will continue looking bad. If the fabric can be ironed, ensure you iron your curtains before hanging them. 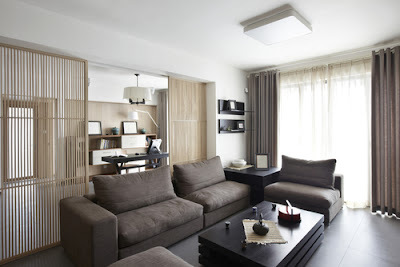 · Avoid low hanging curtains- To create an illusion that there is space, hang your curtains in the ceiling. This is very important especially if you have a small house where you want to create a picture of vertical spaciousness. · Choosing curtains that are not wide enough- For the curtains to completely cover the windows, they should be long enough. This is especially important with bedroom windows that are supposed to cover your bedroom and provide privacy. Unfortunately, people normally buy curtains that are not wide enough. As a general rule, you need to ensure that the curtain extends on either side of the window to cover it well. This will not only cover the window but will also reduce the amount of light entering inside. Well, that is all about home curtains. Although there are no clear rules when it comes to home curtains, there are some things that are clearly obvious. Ensure that you always choose the best curtains for your windows. Also, take good measurements to make your curtains well fitting. Thankfully, there are many unconventional ways that you can use to install a curtain.